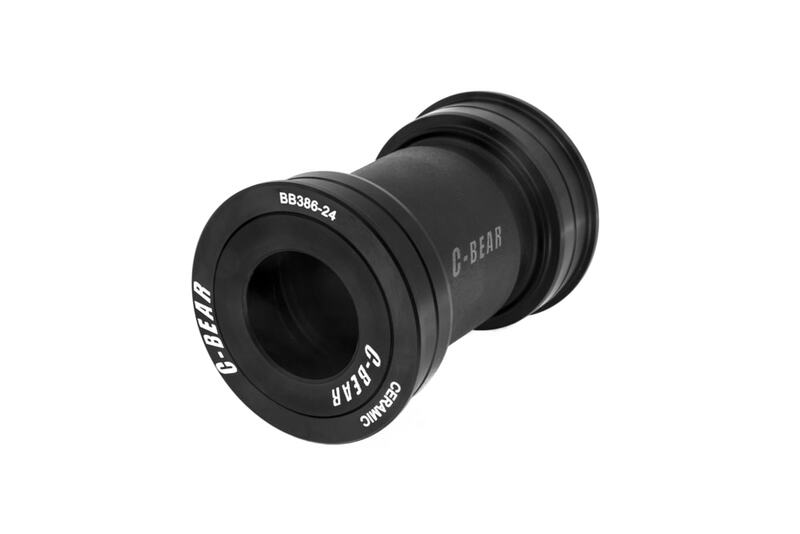 C-Bear BB386 EVO bottom bracket available for 24, 30 mm and Campagnolo cranksets with the exception of BB30 cranksets. 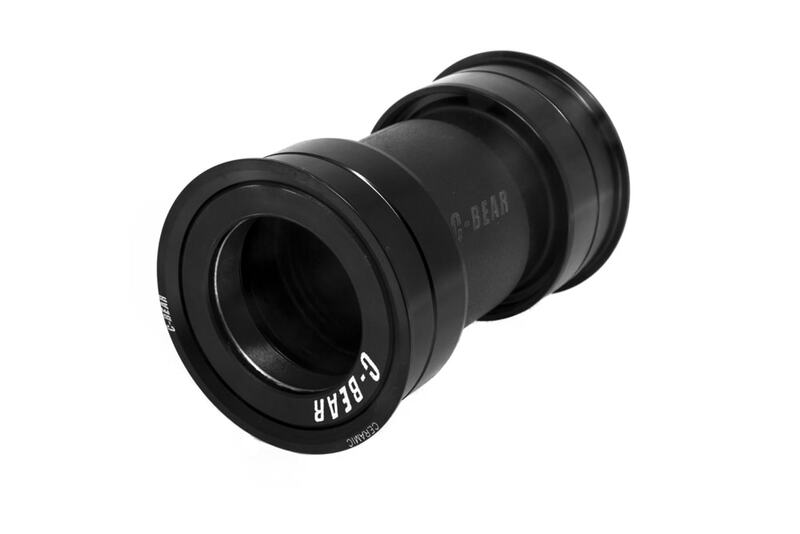 Antoine Didier from the BH Belgian team turns pro, shares his comment about c-bear product performance - BB386 EVO. Photo Gallery of bike frame with BB386 EVO. 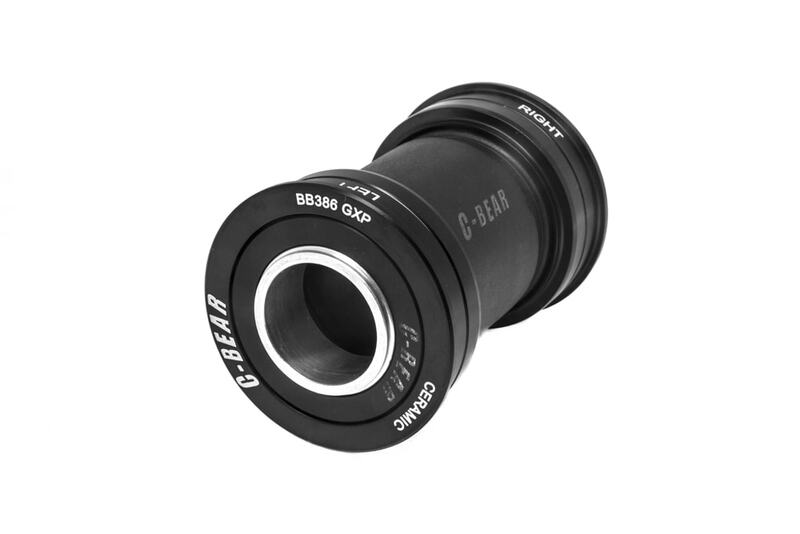 In essence, BB386 EVO is a wider version of PressFit 30, using the same cups, straight 46mm bore and 30mm spindle diameter but in a 86.5mm wide shell (BB30 measures 68mm across). 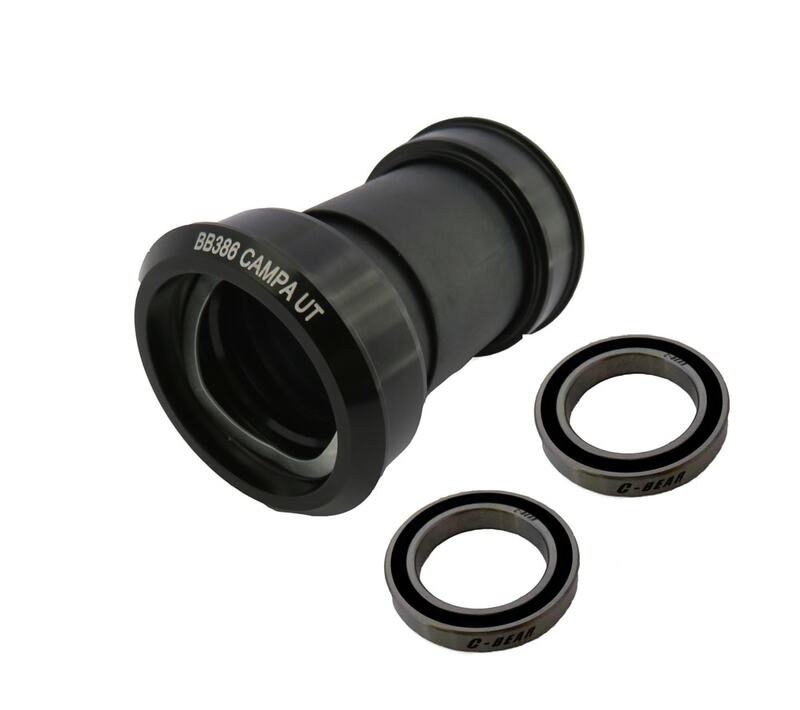 386 EVO gains the advantage of more widely spaced bearings than BB30, though with virtually zero unsupported spindle on the matching 386 EVO-compatible crankset.